The History of Medical Books in CBMH-BCHM – Run For Your Life! Historians know all about books. Publishers. Proposals. Fonts. And proper theoretical frameworks. You name it. Historians have got it cased. Sure, to avoid becoming archaic – extinct – dinosaurs, historians are shifting with the times and engaging in a wider ‘digital turn’. But books still matter. As she prepares CBMH-BCHM readers for the issue, Connor offers a thematic taxonomy of the fourteen essays. It’s a breakdown that includes: (1) the physical form of medical publications; (2) the range of genres for medical writing; (3) the collecting of print material in private and institutional libraries; (4) the links between medical publications and their social or intellectual milieu; (5) and the nature of the publishing enterprise itself. One of the stand-out articles (for me) has to be Heather Burton’s ‘ “Still in Process”: Collaborative Authorship in a Twentieth- Century Biomedical Textbook,’ an account of Molecular Biology of the Cell. More particularly, it’s an account of the “unique and close collaboration between six outstanding scientists” who wrote one of the best-selling textbooks of all time. Even more particularly, it’s about Burton chronicling the writing of the book with one of her own. Essentially, Burton’s awesome article is about a book about a book. Seriously trippy. My favourite moment in the article is the authors’ back-and-forth about the writing of their now seminal textbook. It wasn’t always an enjoyable, seamless process. It wasn’t always easy – as any historian or author knows all too well. 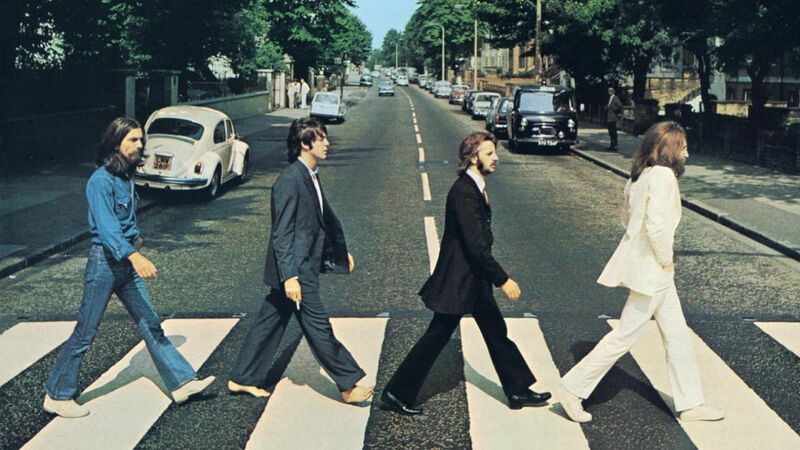 Yet, the collaborators still managed to have some fun, including posing for a photograph in which they recreated the Beatles’ Abbey Road cover. See page 377 for the image that mirrors the one below. Yet, Connor’s edited issue was not the only place in which CBMH-BCHM drilled deeper into the history of the book. In what could have been a straightforward (and Whiggish) history of Boyd, Carr instead gets very interesting. In an effort to understand his historical actor more closely, Carr places a spotlight on Boyd’s ‘commonplace’ book. Kipling and Shakespeare, Milton and Wordsworth – for Carr, the inclusion of these greats offers historians of medicine a more comprehensive view of one Canada’s luminaries in pathology. In David Shephard’s 2000 article on “The Casebook, the Daybook, and the Diary as Sources in Medical Historiography,” readers are exposed to the writings of John Mackieson, Jonathan Woolverton, and James Langstaff – three Canadian physicians. In Shephard’s estimation, these types of historical sources provide a snapshot of medical training and, more importantly, lend insight into rural vs. urban medical practice. Accept it. Historians of medicine truly are bookworms. Thanks for reading! This short article is part of broader series of posts. And I’m incredibly excited to be working with CBMH/BCHM and University of Toronto Press over the summer months. It will be my pleasure to help out with journal’s migration to the UofT’s publishing platform. As part of this transition, we are moving all of the back issues onto UofT’s server, and in some cases enhancing them, with abstracts and keywords. The journal is about to publish its 66th issue, so there are lots to consider! As the journey commences this summer, I’ll be posting and tweeting about the process – all of the amazing stops and bumps in the road, as well excellent articles and contemporary health and medicine issues dating back to the mid-1980s. I’d guess holidays would come first, but I encourage you to share and participate in the voyage as much as you can!